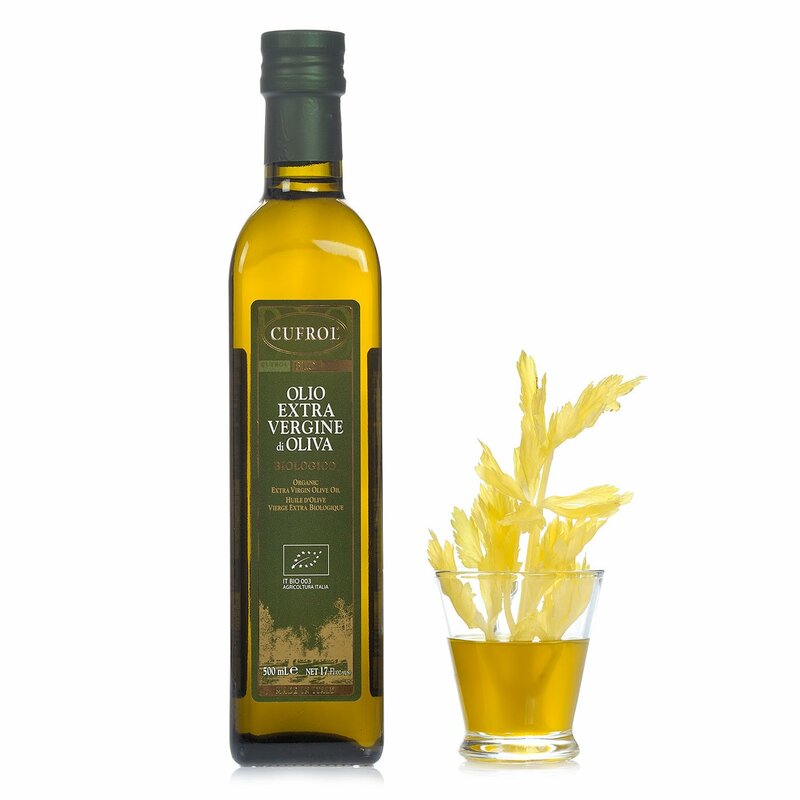 Cufrol Organic Extra Virgin Olive Oil is produced from cold pressed Italian olives. In particular, Tiziano Scacaroni takes care of this oil's production to obtain a rich olive oil, best served drizzled on vegetables, soups, meat and toasted bread. This is a fundamental condiment in a Mediterranean Diet.